Evil Ways novel sale - $4.99 April 24 - 25 only! 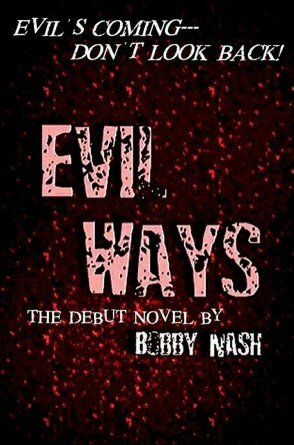 My novel, Evil Ways is on sale at $4.99 this weekend 4/24 - 4/25 only! Go to http://bobby-nash-news.blogspot.com for details. That’s cheaper than I can get them. THE BOSTON BOMBERS FLY AGAIN!! THE RETURN OF THE BOSTON BOMBERS! Imagine an alternate earth where battles are fought in the air by dirigibles; where Jesus was a female and the Jews accepted her as the Messiah; where the Roman Empire has survived into current day; where World War Two never happened and the League of Nations grew into a world power. This is the world of the Boston Bombers. Imagine a female version of Doc Savage! 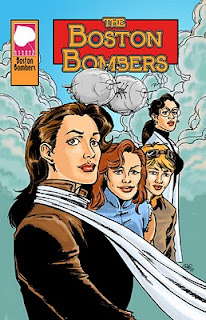 The Bombers are a group of high flying agents working for the League, led by the fearless Indra Devine and includes ace pilot Violet “Rocky” Felicity and engineer/mechanic Copper Feladh. When one of Devine’s oldest friends, scientist Gena Wilhem, becomes a pawn in a game of political intrigue between the League and Rome South Africa, it’s up to the Boston Bombers unravel the plot and save the day. THE BOSTON BOMBERS is pulp writer Ron Fortier’s most imaginative and original adventure to date. It is a magnificent stew of pulp, science fiction and socio/political speculation like nothing you’ve ever read before. Originally released from Caliber Press, this comic has long been out of print and is here collected for the very first time. The Boston Bombers contains 174 pages in glorious black and white with color covers, design and front cover art by Rob Davis. Interiors feature the talents of Gary Kato, Chris Jones and Bob Cram, Jr. with a special introduction by science fiction author, Van Allen Plexico (Sentinels). So start the props, buckle up and get ready to soar into action. It’s time for…BOMBS AWAY!! Book is now available from Redbud Studio via (www.IndyPlanet.com). 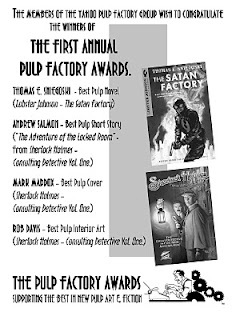 Copies of THE BOSTON BOMBERS will be on sale at the Windy City Pulp & Paper Convention at the Airship 27 Productions’ table where Fortier will be on hand to autograph copies. Edited by Russ Anderson Jr. There have been those critics who have been lamenting the supposed death of the “short story” in American literature. I would argue their alarm is a bit premature, as lately short pulp fiction (i.e. popular fiction of all genres) has not only been surviving quite well, but with books like this one, actual been getting strong. 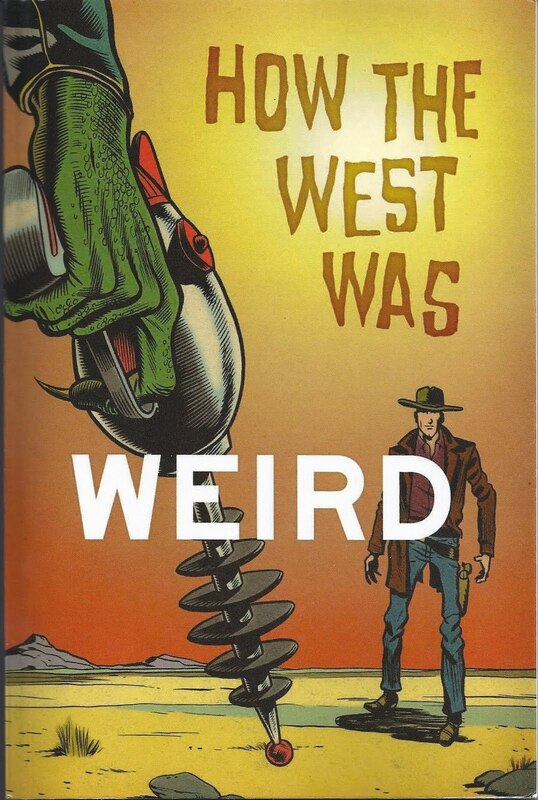 Gathered here are nine fun, extremely well written tales of the Wild West, all with a touch of the macabre. Some are better than others, but the fun of any anthology is that very potential inherent in multiple writers and their varied offering. “Camazotz” by Josh Reynolds suffers a fatal flaw in that it’s too short and one wonders why it was even included. It’s a nifty idea of a cowboy trying to get out of Mexico with an Aztec mummy. Unfortunately no sooner does it get going then it’s over. Makes me wish the editor would have pestered Reynolds to expand it to a more satisfying length. “Wyrm Over Diablo” by Joel Jenkins features a colorful pair of heroes that were so much fun to see in action, I’m hoping he had plans to use them again in the future. This was a non-stop action piece pitting a Native American gunfighter against a Cthulhu type monster that was thrilling stuff. “Don Cuevo’s Curative” by Thomas Deja is my favorite. Deja’s tale of a spooky, thoughtful exorcist who is hired by a town to save a young possessed farm boy was skillfully laid out with intriguing, sympathetic characters. Deja’s style is laconic in that it doesn’t rush the story, pacing it carefully to a very rewarding finale. He’s a writer worth watching. “The Town With No Name,” by Mike McGee is a comedic entry that never takes itself seriously. An emotional scarred outlaw is recruited to be the sacrificial lamb to the Devil on behalf of a dusty town of lost souls. How he accepts his role in their grand scheme and confronts Lucifer is reminiscent of the finer O’Henry tales. “You Need To Know What’s Coming,” by Ian Mileham is easily the most frightening story in the collection, with a really creepy ending. “Of All The Plague A Lover Bears,” by Derrick Ferguson not only has the most original title, it also presents the pulpiest tale in which a mystic gunslinger is hired to clean out a town full of flesh-eating zombies. This is the kind of gem I read anthologies for. That said, HOW THE WEST WAS WEIRD, is a grand collection that is extremely entertaining and worth your support. In fact, I’m hoping it does well enough to warrant another volume. These are too much fun to end with just one outing. Airship 27 Productions and Cornerstone Book Publishers roll out their second volume starring the hero who is half-Irish, half-Comanche and All-American. 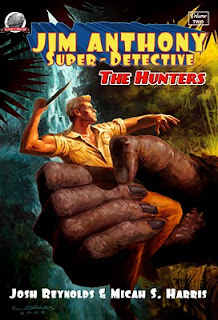 Classic pulp hero, Jim Anthony; Super Detective returns in a brand new novel in two parts that pits him against all kinds of strange and legendary beasts. And in both cases he is accompanied by fanatical hunter, Russian Count Zaroff from the classic short story, The Most Dangerous Game by Richard Connell. In part one, Death In Yellow, by Joshua Reynolds, Anthony and Zaroff square off against a group of savage Tibetan Yetis loose in the steel canyons of Manhattan. 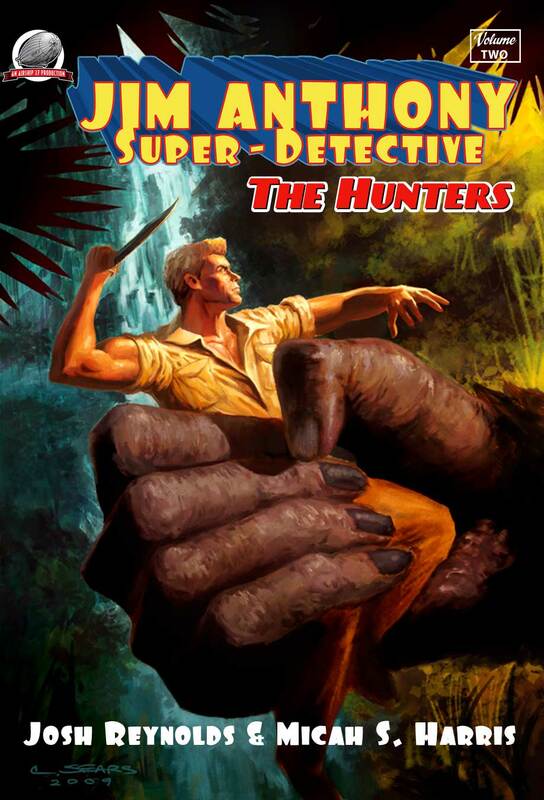 Why these creatures are here and who is behind their murderous rampage is a classic mystery that challenges the one and only Super Detective. Then in part two, On The Periphery of Legend, by Micah S. Harris, Anthony reluctantly accompanies the mad Russian on an expedition to a lost island in the South Pacific where dinosaurs still roam. But that’s not the most dangerous game in those time lost jungles. Here are two amazing tales woven together into a classic pulp adventure that will test the mettle of our hero and his loyal companions! 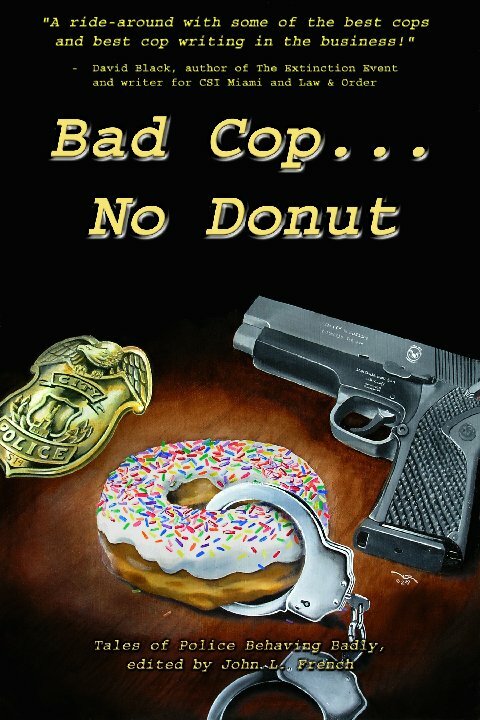 Airship 27 Productions is thrilled to present JIM ANTHONY – SUPER DETECTIVE Vol. Two – THE HUNTERS! Features interior illustrations by Pedro Cruz and a stunning cover by Chris Sears. 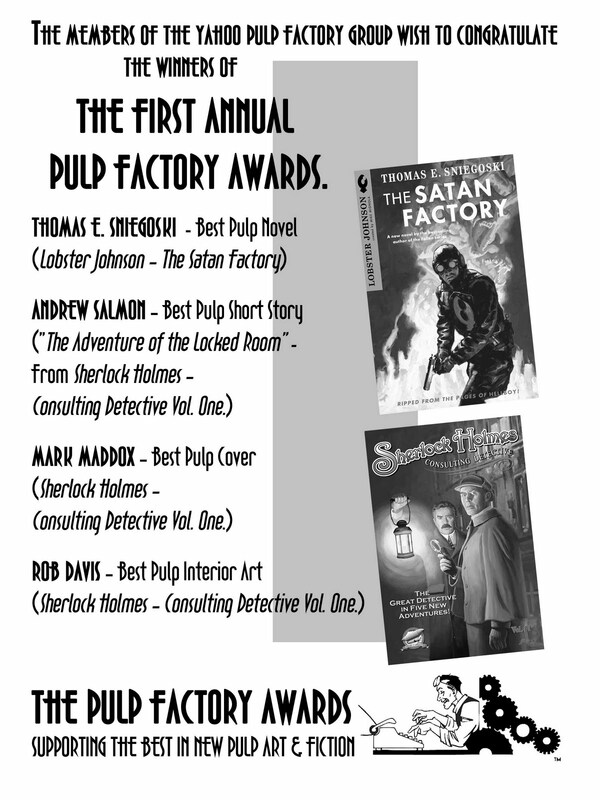 Airship 27 Productions – Pulp Fiction For a New Generation! 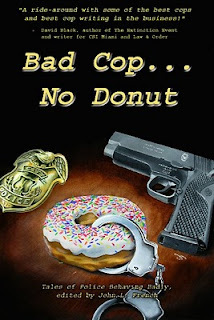 New from Padwolf Press, a collection of 15 stories about cops behaving badly. Edited by John L.French with stories by Gary Lovisi, C.J.Henderson, James Chambers and yours truly, Ron Fortier. I hope you'll check it out. Evil Ways novel sale - $5.99 2 days only! 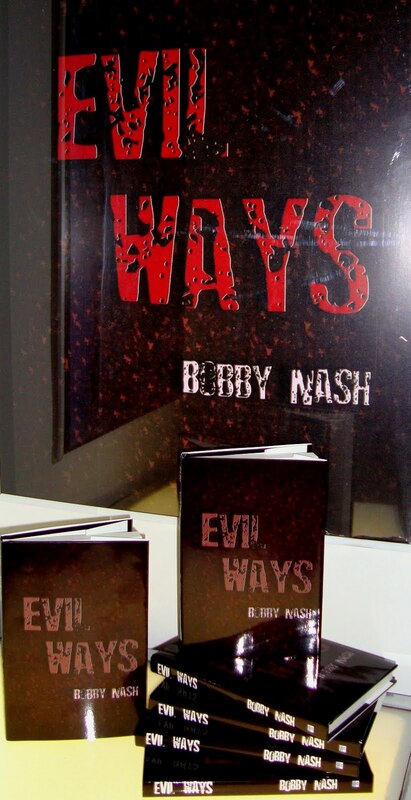 If you've been thinking about picking up my novel, Evil Ways, now's the time. For 2 days only (April 3 - 4) Evil Ways is on sale for the low price of $5.99. That’s cheaper than I can get them! Visit http://bobby-nash-news.blogspot.com or click the link above for great savings. Evil Ways will only be available in this format for one more year so time is running out.